You are already focused on User Experience to drive product success and adoption. Applying an integrated Customer Experience strategy creates an opportunity for the agile organization to drive growth and customer loyalty. There are quite a few buzzwords in the customer sphere. Two of the big ones relate to experiences – user and customer. Although User Experience (UX) and Customer Experience (EX) are unique, they must work together for your organization to be successful. If you aren’t focused on an integrated UX and CX strategy, you are missing out. According to Forrester, companies who provide great customer experiences grow more than 5 times faster than the ones who do not. If that isn’t enough to make you consider your CX strategy, they also said that customers will pay 4.5 times more for great customer experience. Implement the use of a CX Design Strategy (in order to have confidence that your teams can provide a superior customer experience). Launch and maintain a successful customer-focused culture. Understand if your company has both the capacity and capability required to deliver and maintain the ideal experience for your customers. While we know that there is a difference between UX and CX, there is common confusion where one ends, the other begins, and how to differentiate. There it is: UX focuses on the USER, the person using the product or service. CX focuses on the CUSTOMER who buys your product or service. That sounds straight forward, but confusion between UX and CX remains. This confusion is easy to understand when we consider how users and customers are defined. The customer can be a user, and the user can be a customer. Sometimes a user in not a customer, and sometimes a customer isn’t a user. Consider this, a CIO is the ultimate decision maker on software purchases for his organization. The sales team is looking to sales enablement software for the sales team. The sales team will interact with the software regularly. The CIO will never utilize the software. In this situation, the sales team are users and the CIO is the customer. To fully understand the difference in experience, it’s valuable to look at UX and CX in more detail. In general UX focusses on ease of use. This could be an app, a website, or other channels. UX improvement efforts focus on research, design, and development of visitor interactions, then enhance the ease which they are used. Because UX focuses on user’s interaction with products, it’s measured with metrics like success rate, and time-to-complete. In contrast, CX focuses on the wider multichannel customer experiences as part of the overall business strategy. CX facilitates a consistent customer experience across all key parts of the interaction with an organization. Be that during the sales process, product implementation, or customer service. CX is measured in metrics like the Net Promoter Score (NPS), and the overall (customer) experience. Both UX and CX are incredibly important and can’t exist and thrive without each other. However, CX is more complex and should be ingrained in the values of an organization. This ensures moments of customer interaction are properly aligned. It also looks at the whole customer journey in order to reach the customer goal. UX is the strongest influencers on the overall CX. Both disciplines put people and research at the center of what they do. Both provide better value, experiences, and ultimately when aligned, profit. Makes feedback easy — You want your customers feedback. However if you want your customers to contact you, make the channel easy to find. Great UX creates open lines of communication to enable market listening. From a UX standpoint, the feedback will also reveal insights for product improvement. Provide feedback to feedback — Customers want to be heard. Providing customer feedback that their comments are being implemented, or at least read. Here an improvement in UX dramatically improves CX. Provides context across teams — Customer Service, Customer Success, or Sales teams shouldn’t dictate the product design. But they must be involved in the product design process. Great UX teams should seek cross functional input. They should also explain how other roles help fulfill the product promise and improve customer experience. Customer journey maps then help everyone visualize the entire experience. CX is a huge growth driver, and one that should be leveraged. As a result, organizations are now faced with a daunting question. How does CX fit into the existing strategy? Especially, how does it integrate with UX? While there are similarities in the objectives for both disciplines, they have unique purposes. Yet, that does not mean they shouldn’t work together and include other organizational functions. CX representatives should be working alongside your product teams to ensure everything works together. By understanding the entire customer journey, they can see how each role plays into a customer’s overall satisfaction with the product and the organization. The ultimate goal is a product that seamlessly integrates the required elements and ease, with the extra features that will help your organization stand out to customers. Any one component of the customer experience can make or break your organizations relationship with your customers. No matter how you have UX and CX organized, consistently working together will ensure a seamless omnichannel customer experience. That seamless customer experience will foster loyalty from customers and users alike. Beyond that, excellent customer experience will increase your customers willingness to pay, and improve your growth trajectory. What are you waiting for? Download our SBI CX Strategy 2019 Workbook now. Schedule a working session at SBI’s Studio. 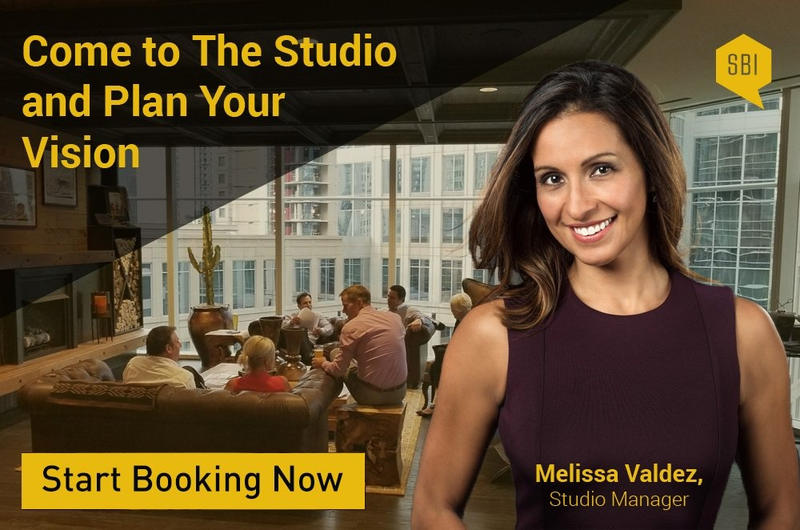 Located in Dallas, TX, our facility offers state-of-the-art meeting rooms, lounge, full-service bar, and a studio used to tape our TV shows. SBI provides the location and facilitators, all at a compelling price point. As a guest of The Studio, you’ll get unlimited access to SBI’s CEO, Partners, and a handpicked team of experts. Transforming business through targeted pricing strategies. Lauren is passionate about helping clients develop the mature pricing capabilities they need to transform their business. She believes that effective pricing is crucial to enabling a business and it’s employees, and is focused on building individualized pricing strategies that maximize profitability while helping sales teams to excel. Lauren is excited about helping clients achieve their full potential in revenue generation, market segmentation, and sales enablement through data driven decision making. The diverse experience in developing pricing strategies in industries such as software, construction, and aerospace give a unique perspective to help her clients reach their pricing potential and make their number.